Your Dermatitis-Ltd III package is delivered directly to the address that you provide. Your delivery person in the United States will be the U.S. 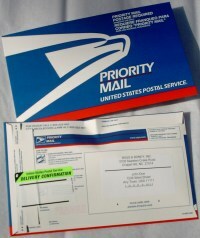 Postal Service that normally deliver your package, and likewise in other countries. Sometimes Federal Express will be used in foreign countries and especially for those needing their order delivered fast. Sometimes there is an import tariff but that depends on your country. If a note is left in your mailbox, please take the note to your local post office for pick up of the package and pay customs as needed. When you have received your Dermatitis-Ltd III order, please follow the letter of instructions for the best results. Some people are really dehydrated and may need up to 15 days of drinking to become well hydrated, while some other dermatitis sufferers may need some time to heal. Dermatitis-Ltd III is now in it's 10th year and we have very happy customers throughout the world.